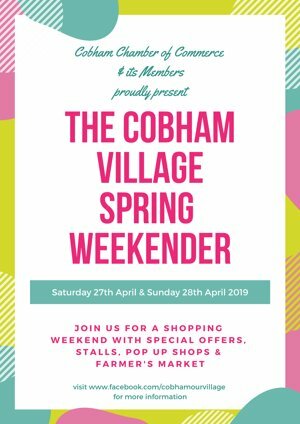 "The Cobham Village Spring Weekender"
Saturday 27th and Sunday 28th April 2019! Featuring stalls, pop up shops, shopping special offers, live music and Surrey Markets! Join us for some good old fashioned family fun as we kick off spring in the village! Over the last few years our beloved village clock installed for the millennium had started to look a little shabby. So this year the Cobham Chamber of Commerce decided to give it a facelift. During March 2019 it was re-painted and given a brand new shiny plaque! Thanks to all our Chamber members whose continued support and membership subscriptions allow us to do these projects to enhance our village. 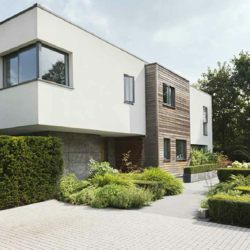 Highways England are proposing a number of changes to the M25 & A3 roads which will have a major negative impact on Painshill (Grade 1 listed landscape garden). Highways England's proposed preferred development will 'grab land' from Painshill, meaning areas of the landscape will be lost forever under the development of the ever increasing road network. and sign the online petition if you would like to give them your support. For all Cobham Village Card Holders, we are pleased to offer you an exclusive offer. 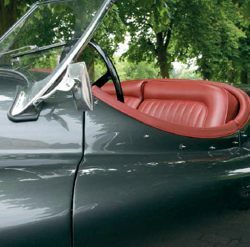 Purchase one of our Home, Comprehensive Car or Equine policies, through your local Cobham NFU Mutual branch, and in turn, we'll make a contribution equivalent to 10% of your new policy premium into a charity of your choice. Here at NFU Mutual Cobham, we give you a person, backed by a team and an organisation built on over 100 years of customer service and trust. Working from the heart of our local community, we bring our knowledge and experience direct to you, to help ensure you hold the right insurance cover in place, to protect the things that matter. For a quote, please contact 01932 865 667, or pop into 5 High Street, Cobham, Surrey, KT11 3DH, and remember to mention 'Cobham Village Card'. Alternatively, provide us with your renewal date and we will contact you closer to the time. 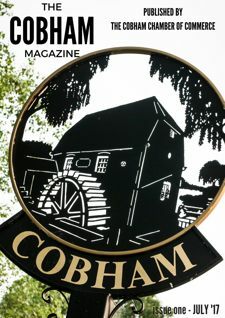 The first issue of The Cobham Magazine in association with The Cobham Chamber Of Commerce has been launched. 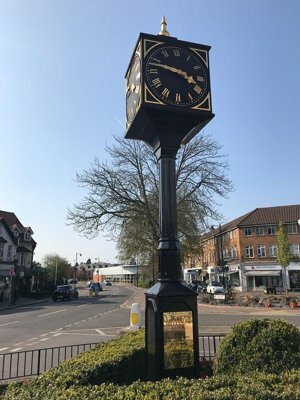 The magazine has been produced with the help of many businesses on and off our High Street with articles throughout written by Cobham people and familiar faces for Cobham people about Cobham. We have joined forces with some of our village's High Street experts covering everything and anything from health and beauty, financial advice to items that will enhance the beauty of your home all with one thing in common - you'll find them in Cobham. 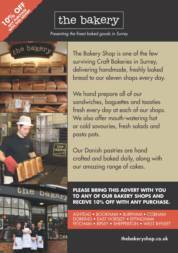 Look out for the magazine when you visit Cobham or download an electronic copy by clicking on the front cover. Warning, this is a large download. If you are on Facebook be sure to click and LIKE our page (@cobhamourvillage) to keep up to date with all the goings on in Cobham and keep visiting this website for some exclusive Cobham village card offers! We hope you'll enjoy this quarterly magazine and look forward to many more issues in the future!